It has been a busy week. We've been playing catch-up on several fronts and moving a number of products further along toward final production. We've also been prepping for Penguicon (it is this weekend), so let us start with that. Please note the CORRECT times of my panel talks in this week’s Update. I am one of the featured guests at Penquicon this weekend, May 2-4, at the Westin Hotel in Southfield, Michigan. Palladium will be there with a table of select products, and Chuck Walton will have a table of his own where he’ll be selling original art and doing convention sketches. I will be present every day, all day long, till about 8:00 PM or so. Come on down to visit with me (Kevin Siembieda), Chuck Walton, Jeff Burke, Alex Marciniszyn and Julius Rosenstein. 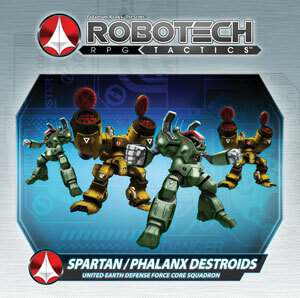 We’ll also be showing off Robotech® RPG Tactics™ prototype game pieces and the rule book, as well as a photocopy of Rifts® Northern Gun™ Two. Hollywood and Licensing (Friday, 7:00 PM) – an insider’s perspective. How to Be the Best G.M. (Saturday 1:00 PM) – tips on how to make your gaming sessions fast paced and memorable. World Building (Saturday at 5:00 PM) – the best tips on making a unique and sensational game setting. Pen and Paper Game Design (Sunday at 1:00 PM) – tap my mind on ways to design your own games for publication or just for fun. The rest of the time I’ll be hanging at the Palladium booth and participating in a few other panel talks and convention events, most of the day and into the evening. These small conventions are always fun because we are able to spend more time chatting with our fans. So come on down and hang for a while with the Palladium crew. Penguicon is a not-for-profit, community-run convention for diverse tastes – open source software, science fiction, music, gaming, DIY, and more. There will a masquerade contest, music, lots of fun panels and seminars, a dealers’ room and other good stuff. Check out the website and come on over to join the fun. I approved the digital proofs of Rifts® Northern Gun™ Two at the printer just this afternoon. The covers and interior pages looked great and everything is moving forward. The printer could not give me an estimated ship date yet, because they have to check with the bindery schedule. Since this book is so big at 256 pages, we’re having it “sewn” as well as perfect bound, and the printer needs to check with the bindery because of that extra, quality-insuring step. Palladium’s printer rep did agree that my estimate in last week’s Update is probably pretty close. She estimated May 20-23 for the mass market softcover and June 9-12 for the Megaverse Insider hardcovers. She should be able to confirm a date next week. After six weeks of seemingly endless additions (the equivalent of an entire, second 160 page book! ), I’m quite convinced I am, indeed, a crazy gaming geek. That said, I think Rifts® gamers will go wild over the fun vehicles and information in this massive, 256 page toy box. The biggest book of fully described “vehicles and equipment” we have ever done! Gear heads and technophiles, rejoice! 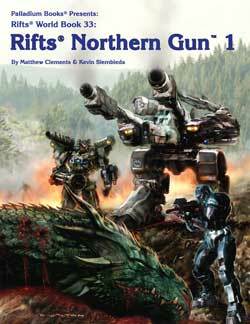 Wayne will try to get a Second Rifts® Northern Gun™ Two FREE Sneak Preview put on DriveThruRPG.com over the weekend (maybe as soon as tomorrow). There is already an advance Rifts® Northern Gun™ Two Sneak Preview – available free on DriveThruRPG.com. There are also FREE previews on DriveThruRPG.com for Rifts® Northern Gun™ One, Rifts® Vampires Sourcebook, Rifts® Vampire Kingdoms™ (Revised Edition), Rifts® Black Market, Rifts® Lemuria, The Rifter® #65, Dragons and Gods™, Dead Reign™ RPG, Endless Dead™ sourcebook and others, too. Plus we plan to add other sneak previews. Btw, the original Rifts® Vampire Kingdoms World Book is also available as a PDF on DriveThruRPG, for those of you who may be interested. More are coming. After talking with the printer, it’s looking more like The Rifter® #66 will ship the same time as Rifts® Northern Gun™ Two, around May 20-23. Demands of the week prevented us from diving into it full force like we had hoped, but it will go to the printer next week. Chuck Walton is done with all his artwork for the Splicers® article, and all the other artists are done with their work for it, too. Will ship with Rifts® Northern Gun™ Two around May 21st. I’ve been spreading my time on numerous projects, as has Wayne Smith. 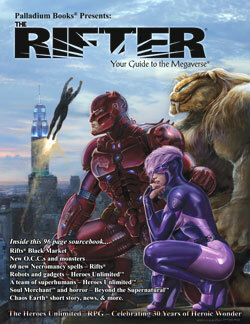 So I’ve done some work on The Rifter® #66 and some preliminary work on Rifts® Megaverse® in Flames™. Wow, did Carl Gleba do a nice job. Another book that will please and surprise Rifts® fans. June release. No change from last week. The manuscript is in. Art is being done. It will be coming in June. As I said last Update, this 160 page sourcebook will be a summer release. Count on it. Art will be assigned very soon. Then it’s approval time from Harmony Gold on text and art. We should start by the end of May. Anticipating a June or July release. 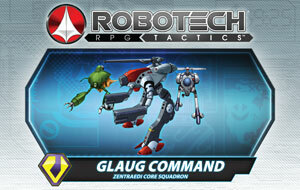 We’ll have a color printout of the Robotech® RPG Tactics™ rule book and many of the prototypes will be on display at Penguicon, so if you are attending that convention, stop by our table in the dealers’ room to check ‘em out. Jeff Burke will also be running demos off and on at the convention. We’re told things are moving forward with sprue layout on the manufacturing front. A couple of photos were emailed to us for two of the Zentraedi pieces whose molds are done tooling, and we expect to get the physical sprues next week. But we’re still waiting for others. 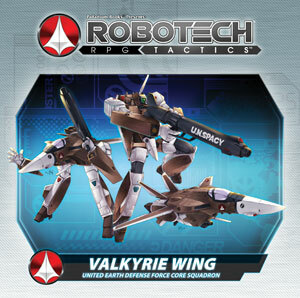 In fact, we’ve been waiting weeks now – since the GAMA Trade Show – to get the prototypes and final sprue layout for the iconic and pivotal Valkyries. Apparently, there were delays and problems getting the molds broken down into sprues and done right. As you know, Palladium is completely new to the wargame business. That’s why we joined forces with the talented gents at Ninja Division – the combined talents of Soda Pop Miniatures and Cipher Studios. Palladium is trusting their knowledge and expertise in all aspects of sculpting, mold making, sprue breakdowns and manufacturing. 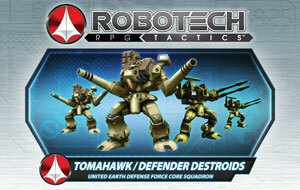 Like you, we assume they are doing everything in their power to make this the best product possible and to get Robotech® RPG Tactics™ to market as quickly as possible. 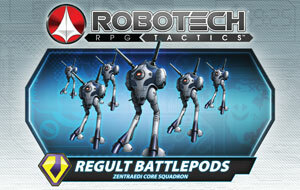 You know the Ninja Division/Soda Pop/Cipher Studios reputation for quality, so you KNOW what you can expect from them with regard to Robotech® RPG Tactics™. In fact, both Palladium Books and Ninja Division (Soda Pop/Cipher Studios) are known for their quality products. 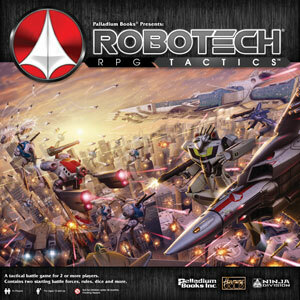 And our goal from the start has been to make Robotech® RPG Tactics™ a fun, quality game that wargamers and Robotech® fans will go wild over. We have put our hearts and souls into this product line. 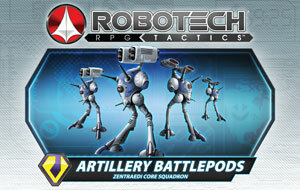 Palladium Books has NEVER put Robotech® RPG Tactics™ aside to work on something else. In fact, while we’ve been waiting for molds, sprues and manufacturing to be finalized, we have been fine-tuning and adding to the things we have some direct control over, such as the creation of a comprehensive color guide, reworking the decal sheet to include as many vital images as possible, and other aspects of the product. As soon as the last prototypes and sprue breakdowns are hammered out, we are off to the races with Wave One. Can’t be soon enough, for us. Nothing new to report on this front yet. I will post more details about the 2015 POH in the weeks to come. I’m already looking forward to seeing many of you next year! This week was filled with convention prep, approvals, correspondences, meetings, and taking care of business matters. I’ve been working on contracts, paying bills, signing and numbering more copies of Palladium Fantasy®, 2nd Edition Hardcovers (which are flying out of the warehouse! ), and a number of other things. The days this week just zoomed by. I had a brief meeting with Mark Dudley and Ben Rodriguez this week, took a couple of telephone meetings, and had a few brainstorming sessions in plotting out upcoming products, workloads and scheduling with Jeff, Wayne and Alex, as well as spent a little time with a few fans who dropped by the office. Oh, yeah, and I’ve been doing some writing. That includes posting a couple of Murmurs from the Megaverse this week and posting on Facebook. I’m trying to get back in the groove of posting much more often again. Writing is going well and we’re feeling pretty pumped up about upcoming product. Palladium Birthdays: Today is Wayne’s birthday, so I’m trying to arrange it so he has the weekend off, but that probably means a late night today and tomorrow. Sorry about that, Mr. Smith. Happy Birthday, Wayne, you’re the best. Until we talk again in the next Weekly Update, we’ll be working away on The Rifter® #66 and Rifts® Megaverse® in Flames™. I’m looking forward to Penguicon this weekend and hope to see some of you there. Game on! DONE and coming your way in May. 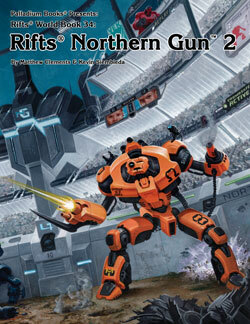 Rifts® Northern Gun™ Two is the biggest book of fully described vehicles and equipment Palladium has ever produced. It is officially 256 pages, but it is the equivalent of 300 pages! We were able to squeeze more pages in using some typesetting and layout tricks and a slightly smaller font size than our normal 10 point type. Technophiles rejoice! You get power armor galore, plus hovercycles, body armor, robot drones, amphibious vehicles, combat vehicles, ground vehicles, and other gear, plus gladiators of the Robodome and hints about things to come and NG’s relationship with the Coalition States. EXPANDED from 160 pages to 256 pages. Epic adventure. Order yours today. Ships around May 23. Waiting to get a date from the printer. 256 pages – $26.95 retail – Cat. No. 888. Softcover ships around May 23. Special Megaverse Insider hardcover edition ships around June 10. Both dates are estimates. We’ll let you know when the printer gives us an actual date, but these are probably within a couple days of what they’ll tell us. 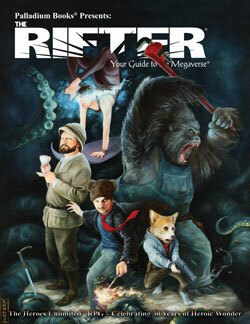 The Rifter® #66 offers a variety of source material, monsters, baddies and information. All wonderful fodder for weaving your own adventures regardless of the setting. Plus great art, news, coming attractions, and more. Every issue of The Rifter® is an idea factory for players and Game Masters to generate new ideas, and find new avenues of adventure. It provides useful, ready to go, source material you can just drop into your ongoing games. A doorway to new possibilities and numerous Palladium role-playing worlds. And the many new characters, O.C.C.s, powers, magic, weapons, villains, monsters, adventures and ideas for one setting can be easily adapted to any Palladium setting. 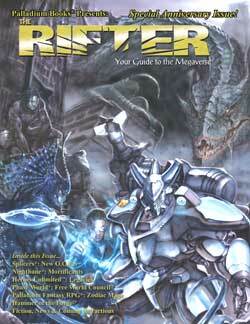 Every issue has material for Rifts® and at least 2-3 other Palladium game lines. Heroes Unlimited™ – Bite of the Snake-Men – by Glen Evans. An HU2 adventure and a new batch of bad guys to battle. Splicers® – Bestiary – by Edward Sauerland. A selection of strange creatures, monster creation tables and rules, the Ranger O.C.C. and more. Art by Chuck Walton. Rifts® – Black Market: Rise to Power, Part Two – by Max Kautsch. Source material on the Black Market town of Singer, plus notable characters and some Black Market TW weapons. Rifts® Short Story – Skipping Stones – by Brett Caron. 96 pages – $13.95 retail – Cat. No. 166. Ships in May, 2014. Please note the increased cover price. 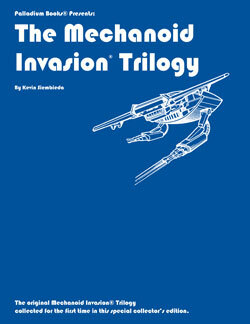 The story of the Mechanoid Invasion® is a tragic one that spans the galaxy and generations of people. The Mechanoid Invasion® starts on a distant planet being colonized by humans, until the Mechanoids arrive. The seemingly alien mechanized monsters intend to strip the planet of all its resources and literally carve it up into pieces and haul it away. The loss of human lives mean nothing to them. Indeed, the Mechanoids seem to delight in capturing, torturing and slaughtering what humans they can find. Can nothing stop the destruction? Some additional art by William Messner Loebs, Michael Gustovich, and James A. Osten. Maps by Erick Wujcik (as well as some additional text). 208 pages – $24.95 retail – Cat. No. 400. The first new printing in over a decade. Available now! The Minion War spills across Rifts Earth, where demons and infernals hope to recruit allies and use the Rifts as gateways of destruction. Their influence shakes things up across the planet, especially at locations where demons and Deevils already have a strong presence. Demons, Deevils and supernatural beings run rampant and wreak havoc across the world. 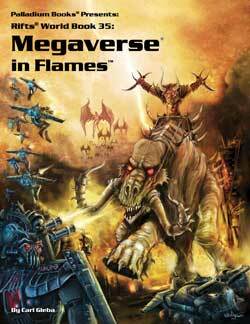 As soon as NG-2 is finished, we dive into the fast-tracked production of Megaverse® in Flames™ for an April release. 192 pages – $24.95 retail – Cat. No. 876. June, 2014. When the dead rise and communications and power grids collapse, nothing matters except your own survival. But what about the rest of the world? What’s happening in other places? Has any government survived? Is anyplace safe? Dead Reign™ Graveyard Earth™ tries to answer those questions and others. And in doing so, provides gamers and G.M.s with more fuel for adventure. Zombie World Tour – How the Wave and the Zombie Apocalypse has played out across the globe. 48-64 pages – $12.95 retail (tentative) – Cat. No. 235. Ships in June 2014. In final development. Final page count and date of release yet to be determined. The Heroes Unlimited™ RPG turns 30 years old this year. 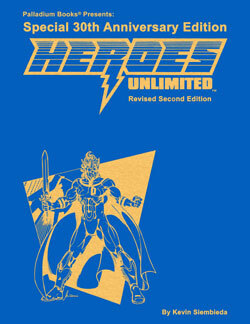 To celebrate, Palladium is releasing a special, commemorative, Heroes Unlimited™ 30th Anniversary Hardcover, for only $40. Available now. The original HU2 hardcover sold for $50 and has since become a collector’s item that sells for $200-$350 on the secondary market. To preserve the value of the “original” Heroes Unlimited™ Gold Hardcover Edition, we have made the HU2 30th Anniversary Edition as visibly different (and cool) looking on the outside as possible. The material used for the cover is different (not leatherette), the color is a lighter shade of blue, and although the cover is imprinted in gold foil, it features artwork depicting a superhero and the words “Special 30th Anniversary Edition.” Even the spine is different looking, and the end sheets are red and without art. The red, white and blue combination represents the United States of America, the birthplace of superhero comic books, and the colors of costumed heroes. All the elements described above should make the Heroes Unlimited™ 30th Anniversary Hardcover impossible to mistake for the original HU2 signed and numbered HC edition. We have kept the price an unprecedented, low $40 for a hardcover Gold Edition of this size. We want to give Heroes Unlimited™ fans a crack at purchasing one before the price skyrockets on the secondary collectors’ market. Enjoy and game on! 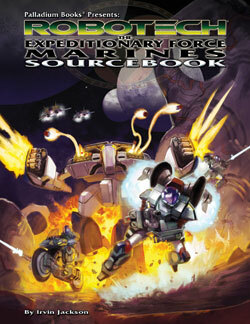 352 pages – ONLY $40 retail from Palladium Books only – Cat. No. 5000HC. Available NOW! Order yours today. Note: The price is only $40 to celebrate the proud event of HU2's 30th Anniversary and make sure the hardcover is accessible to our core fan base. Enjoy. It didn't seem fair to offer a Heroes Unlimited™ Hardcover Edition and not one for Palladium Fantasy®, has released a Palladium Fantasy® Special 30th Anniversary Hardcover. The Palladium Fantasy RPG® was released in June of 1983, so technically, the Fantasy Game is still 30 years old until June. The original Crimson Edition hardcover sold for $50 and has since become a collector’s item that sells for $250-$400 on the secondary market. The special, commemorative, 30th Anniversary Hardcover sells for only $40. To preserve the value of the “original” Palladium Fantasy RPG® Crimson Edition Hardcover, we have made the 30th Anniversary Edition as visibly different looking on the outside as possible. The material used for the cover is a brown leatherette imprinted with “Elemental Green” foil, different art on the cover, and the words “Special 30th Anniversary Edition.” Even the spine is different looking and the end sheets are without artwork. All the elements described above should make the Palladium Fantasy RPG® 30th Anniversary Hardcover impossible to mistake for the original signed and numbered HC edition. The price is $40 (while supplies last), low for a limited edition of its size. We want to give Fantasy fans a crack at purchasing one before the price skyrockets on the secondary collectors’ market. Second Edition rules. There has been some confusion among fans as to whether this hardcover edition is First or Second Edition rules. It is SECOND Edition rules, exactly the same as the current material in the softcover book. Signed and numbered by Kevin Siembieda and the Palladium staff. The Palladium Fantasy hardcover is exactly the same as the ‘current’ printing of the softcover edition; Second Edition rules. 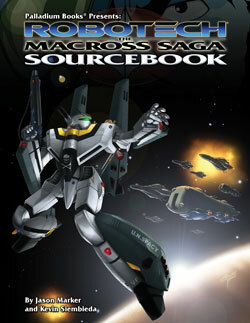 336 pages – ONLY $40 retail from Palladium Books only – Cat. No. 4500HC – available now. Sorry, this product is not available in stores. Note: The price is only $40 to celebrate the proud event of Palladium Fantasy’s 30 years of continuous publication and make sure the hardcover is accessible to our core fan base. Enjoy. The Rifter® #65 is all about the secrets of power. In some cases, dark secrets: 60 new Necromancy spells and magic for Rifts® and other settings, the power of the Soul Merchant for BTS™, rising to power within the Black Market for Rifts®, a Chaos Earth® short story, and for Heroes Unlimited™, a band of superhumans, robotics and gadgets. Plus news, coming attractions, and more. Heroes Unlimited™ – Contemporary High-Tech Robotics and Gadgets – by David F. Smith. Bionics, robots and more. Heroes Unlimited™ – Once More unto the Breach – by Alex Tulloch. A band of super-beings and their motives. Beyond the Supernatural™ – Hollow Road Adventure – by Anthony Uyl. Evil takes unexpected forms in the pursuit of power. An adventure in which the players will discover that the local townsfolk can be just as evil as the Supernatural in their pursuit of power. Rifts® – Black Market – Rise to Power, Part One – by Max Kautsch. Source material on the Black Market and one Faction’s bid for power. Rifts®, Palladium Fantasy® and other settings – Necromancy – 60 Spells – by Eric Siems. 60 spells plus Necromantic magic items, the Dread Knight O.C.C., Spirit Caller O.C.C., and Bone Merchant NPC. Rifts® Chaos Earth® Short Story – Chaos Eve – by Shawn Merrow. 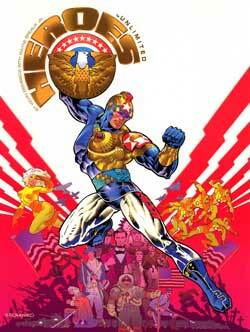 Heroes Unlimited cover by Charles Walton. 96 pages – $11.95 retail – Cat. No. 165. Available now. 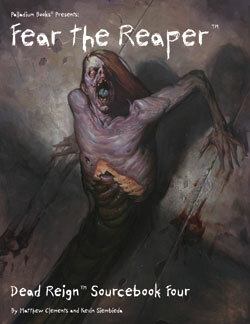 RECENT RELEASE: Dead Reign™ Sourcebook 4: Fear the Reaper™ – Available now! Comprehensive background on the legendary Road Reapers™ – zombie hunters and heroes of the Zombie Apocalypse. The Road Reapers’ Code – a guide to being a Road Reaper and hero. More zombie-killing advice from Brad Ashley, the notorious leader of the Road Reapers and author of the Road Reapers’ Survival Guide. 48 pages – $12.95 retail – Cat. No. 234. Available now! Plastic game pieces. Assembly and painting required. Plastic game pieces. Models require assembly and painting. If you love playing smart games with heroic super beings in possession of strange and wondrous powers or technology, then Heroes Unlimited™ is the role-playing game for you. This RPG has unleashed the superheroes inside gamers for three decades and counting. Heroes Unlimited™ RPG is probably most famous for rules and abilities that enable you to play ALL types of heroes while capturing the feel of comic books, and for being a thinking-gamer’s setting. All of this adds up to super-fun and epic comic book-style adventure. 11 Archetypes or Categories of Heroes, and another dozen subcategories including Crazy Heroes, those empowered by magical artifacts, Immortals, geniuses, and heroes without any super abilities whatsoever. Cover by comic book legendary artist, Jim Steranko. Interior Artwork by Ramon Perez, Scott Johnson, Mark Dudley, Paulo Parente, Kevin Long, Mike Gustovich and others. 352 pages – $26.95 retail – Cat. No. 500 – Available now! We sold out during the Christmas season, but this fun book, suitable for use in Rifts® (complete with M.D.C. stat notes) as well as the Palladium Fantasy RPG®, is so popular that we did a full reprint of it. This is the 3rd printing of a dynamic sourcebook filled with big ideas and insightful rules for creating gods and their followers as well as presenting an array of deities and dragons. The dragon section provides insight to how Palladium Dragons think and function. Great artwork, too. Co-written with Erick Wujcik. With the Minion War™ soon to erupt on Rifts® Earth via Megaverse® in Flames™, you may find a book about dragons and gods to be a very useful sourcebook. This expansive sourcebook presents detailed information about the mythical dragons and gods common to the Palladium Fantasy® world, but contains notes for use in Rifts® and is easily adapted to the Rifts® setting. It includes sections about Dragonwright, the Gods of Taut, Elementals, Demon Lords, dragons, and the forces of light and dark. Suitable for use with the Palladium Fantasy RPG®, Rifts®, Heroes Unlimited™, and Beyond the Supernatural™, or any fantasy game. 14 dragons, including the Hydra, Lo-Dox and others. 40+ Gods complete with minions, magic weapons & worshipers. 20 Demonic Lords, their goals, enemies and powers. Elementals and Creatures of Light. Deific powers of the gods and how they use them. Rune and Holy Weapons. Magic items made from dragons. Information on Alien Intelligences and other god-like beings. Written by Kevin Siembieda and Erick Wujcik. $24.95 retail – 232 pages – Cat. No. 451. Available now. This book is rich in monsters and magic based on Russian mythology and superstition. Rifts Russia is a land unlike anywhere else. The wilderness abounds with mischievous spirits, shape-changers and demons unique to Russia (including a comprehensive look at Necromancy). 28 Russian demons & spirits. Nature and Spoiling Magic. Over 100 new spells. Living Fire Magic, Bone Magic & Necromancy. Russian Gypsies, their secrets and magic weapon maker. Sovietski tanks, war machines and more world info. Written by Kevin Siembieda. Cover by Zeleznik. $20.95 – 176 pages – Cat. No. 833. Available now. The Rifter® #50 remains in high demand because it contains all kinds of official source material from many of Palladium’s most popular writers. Back in print because you demand it. Official Phase World/Three Galaxies source material – The Free World Council by Braden Campbell. Official Rifts® Comic Strip by Madman Mike Leonard. It is a short, but memorable four page comic. Official Heroes Unlimited™ source material by Mark Oberle. A look at fame, glory and heroic legacies. Official Nightbane® source material by Irvin Jackson. The Mortificants O.C.C., also known as the Death Caller. A sort of modern-day Necromancer. Official Chaos Earth® source material – Psychics by Jason Richards. 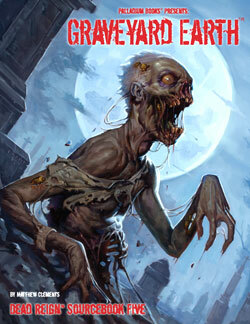 Includes three new Chaos Earth® psychic O.C.C.s. Official Splicers® source material by Brandon Aten and Matthew Orr. Includes three new Splicer O.C.C.s (the Gardener, the Tormentor and the Geneticist) and their Bio-Armor and Bio-Enhancments. Art by Chuck Walton. 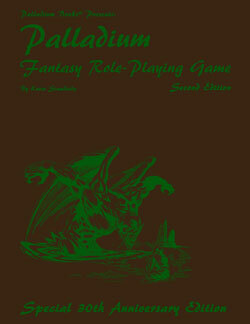 Official Palladium Fantasy RPG® – Zodiac rules and a type of Elven magic for it, by Carl Gleba. Rifts® Treasure Trove Logic Problem by Julius Rosenstein. Rifts® – Optional Construction and Vehicle Rules by Greg Diaczyk. Ninja & Superspies™ – Expanded Combat Rules by Taylor White. FINAL CHAPTER of the Hammer of the Forge! By M.G. Cannon. 128 pages – $14.95 retail – Cat. No. 150 – Available now! 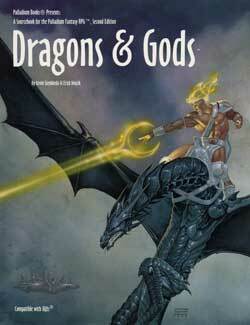 Gen Con Indy is going to be the premier convention event for Palladium Books this year. A large booth, special display, a ton of product including Robotech® RPG Tactics™, and all our role-playing games and sourcebooks, art prints, original art, and all kinds of good stuff. There will also be many Palladium creators available at the booth throughout the convention to chat and sign autographs, including writers Brandon Aten, Matthew Clements, Carl Gleba, Carmen Bellaire, Mark Oberle (tentative), me (Kevin Siembieda), Palladium staffers like Wayne Smith and Jeff Burke, and artists including Nick Bradshaw, Mike Leonard, Chuck Walton, and others. And it looks like there will be 70+ Palladium Books RPG events in the official Gen Con program. My heartfelt thanks to the Megaversal Ambassadors spearheading this project, as well as the Game Masters volunteering to run so many events for our many game lines. Awesome. 70+ RPG gaming events in a dedicated area. More than 3x the number of games ever at a Gen Con. Sign up when you can and make us look good. Palladium creators already committed to appear: Kevin Siembieda, Wayne Smith (editor), Jeff Burke (artist & staffer), Chuck Walton (artist), Nick Bradshaw (artist), Mike Leonard (artist), Brandon Aten (writer), Matthew Clements (writer), Carl Gleba (writer), NMI (online admin and MA), Gary Miller (MA Coordinator and the Palladium Onsite Gaming Event Coordinator at Gen Con), and others are likely to be added; subject to changes and addition.